The best interior design projects are ones that lead you to a greater understanding of your personal style and how to achieve it. It’s similar to other creative processes. A great personal stylist will not only teach you what shapes and colors look best on you, they’ll also take the time to get to know what makes you unique and how to infuse your personality into everything you put on your body. Clothing is a public projection of who we are. When we venture outside in a particular outfit, we’re sending a message to the public. Our homes are more private spaces. We have a chance to send more personal, intimate messages about who we are and how we choose to spend our time. Granting such intimate creative control to a stranger can be intimidating. By first taking the time to understand your personal style and get specific about what you want, you can help yourself and the designer working with you create a home that’s beautiful and well-organized – a seamless expression of self. 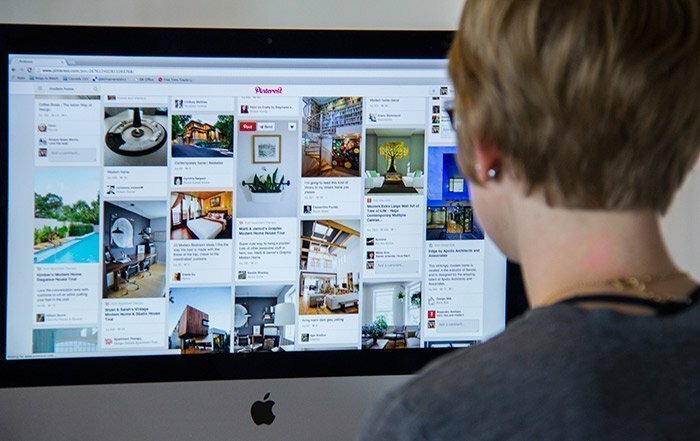 The internet makes it easy to access millions of unique images for any given interior design style. Two tools that some of my clients use to organize these images and get a better sense of their personal style are Houzz and Pinterest. This post will show you how to use Pinterest to curate a creative ‘brief’ – including fixtures, colors, materials, and furniture you like – to help guide your interior designer. In a future post, I’ll provide instructions on replicating this explorative process using Houzz. This process is only two steps (with an optional third step), and will take you between 2 – 3 hours. The most important part of this process is that it’s supposed to be fun. Grab a glass of wine, put on some of your favorite upbeat music, and log in to Pinterest. You’re loosened up – wine in hand, Beyonce crooning in your headphones. You have Pinterest open. Now what? You’re on a hunt for images that look like home. You’re scouting for photos that make your heart beat a little faster. That plant! Those pendant lights! That sink! Now is not the time to think about budget, size constraints, or other logistics. You can work with the designer to figure those things out later. For this process, tuck your inner critic away and dream big. If you’ve never signed into Pinterest, this video tutorial about getting around the website may help you get started. 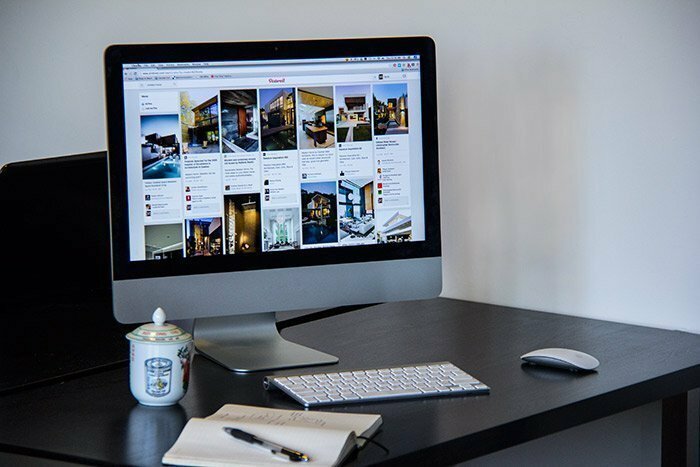 If you have an existing Pinterest interior design board, you can work from those or create a new board or set of boards specifically for your interior design project. At this point, you want to be collecting as many images as you can. Having a large set of images will be helpful in future steps. There are two great places to look for pins that are similar to images you’ve already pinned: the Also on These Boards and Related Pins sections. To access these sections, first click into a pin that you like, and scroll down. You’ll see the Also on These Boards section first, and the Related Pins section after that. Once you’ve spent an hour or two collecting all of your favorite images into a single board, you’ll want to organize them. Turn your critical thinking skills back on and take a look over the images you’ve collected. How might you group them? You may notice that a specific pattern or color palette emerges. Make these into their own boards. Maybe a type of furniture – like a love seat – appears in many of your images. Group these into their own board as well. Look through your set of images, pick a few groups that you think capture the components of the room that make the interiors so lovely to you, and start making boards. Repin the images from your large group of photos into these smaller, curated boards. When you see the patterns in your aesthetic and have organized them into boards, you can refine your Pinterest search to look for more of what you love. This is especially helpful for boards that are a little sparse. Giving your interior designer lots of options will help them find something that will suit your space and budget. Don’t be afraid to go a bit overboard. It’s their job to help you pare down your vision into the best thing for your space. Let us know if you’ve used this process or something similar to prepare for working with an interior designer. We’d love to hear your experience in the comments.